Robert Macy is a pioneer in the field of Traumatic Incident Stress Interventions, public health-mental health psychosocial intervention and research and violence prevention initiatives for children, youth, their families and their communities exposed to traumatic events including large-scale disasters, terrorist events, and political, community, armed conflict violence and trans-generational impoverishment. During the last 19 years Macy has designed, and implements and evaluates traumatic stress reduction programs, and psychosocial assessment and intervention projects in the United States, Europe, the Middle East, Asia and Africa. Robert Macy is Co-Director of the Division of Disaster Resilience at the Beth Israel Deaconess Medical Center, a Harvard Medical School Instructor, a Research Fellow in Psychology in the Developmental Psychology and Psychopathology Program at McLean’s Hospital and an Adjunct Faculty in Counseling Psychology Graduate School Programs at Lesley University. Robert is also the Co-Founder and Director of the Intentional Center for Disaster Resilience and the former Co-Director of a National Center for Child Traumatic Stress Network-Category III site in Boston and a former Co-Chair of the National Center for Child Traumatic Stress Network-Terrorism and Disaster Branch. Macy continues to consult to the National Center for Child Traumatic Stress Network-Terrorism and Disaster Branch and serves as Core Faculty for the National Center for Child Traumatic Stress Network-Psychological First Aid Learning Community. Dicki J. Macy is the cofounder of the Boston Children’s Foundation, and the Founder and Director of Rainbowdance, an evidence-based early intervention program of the Boston Children’s Foundation. Dicki remains a tireless and dedicated pioneer in the field of trauma focused stabilization and resiliency programs for young children and their communities exposed to traumatic events including large-scale disasters, terrorist events, and political, community, armed conflict violence and transgenerational impoverishment. During the last 25 years, Dicki designed, and now implements and evaluates early intervention traumatic stress reduction and resiliency building programs in the United States, Europe, the Middle East, Asia and Africa. 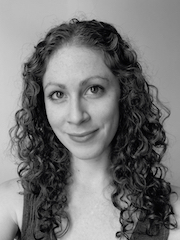 Rachel Assaf, a native of Louisiana, joined the BCF team in 2016 after completing her Master’s Degree in Dance/Movement Therapy from Lesley University. In her graduate studies, she helped design a movement and sensory program for residents on a Dementia Care Unit, implementing dance therapy for the first time at the nursing home. She also worked with many children throughout her clinical internship at BCF, where she now continues to implement Rainbowdance interventions and trainings in the metro-Boston community. She is a member of the Guardians of Isadora dance troupe. Hailing from Ohio, Jessica Cruz graduated from Lesley University with a Master’s Degree in Dance/Movement Therapy in 2015. She was heavily involved with BCF in 2014-2015 as an intern, working with children through Rainbowdance and at the Dance Complex. Following graduation, Jessica kept in contact with the BCF family while working full-time with Riverside Community Care as an In-Home Therapist, implementing expressive arts into her work. She continues to work full-time with Riverside and is excited to join the staff at BCF and continue their vision for children in the metro-Boston community. Erin Tower completed her Advanced Rainbowdance training in 2013. Since that time she has co-led Rainbowdance groups with BCF staff and implemented a parent/child Rainbowdance group at a local Early Intervention Program. Clinically, Erin has focused on supporting individuals and families facing complex challenges. At her private practice, she blends talk therapy with movement practices to support adults facing anxiety, depression, chronic illness, and burnout. 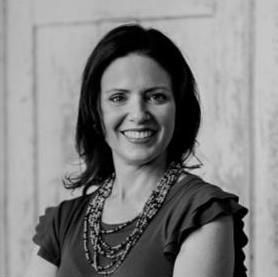 In 2008, she received her Master’s Degree from Lesley University in Clinical Mental Health Counseling and Expressive Therapy, with a Specialization in Dance/Movement Therapy. She is a member of the Guardians of Isadora dance troupe.